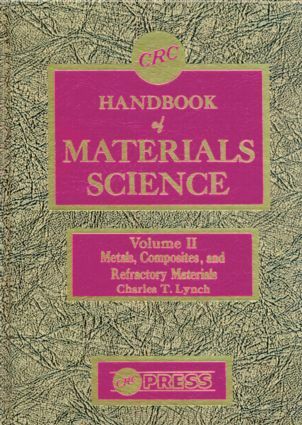 CRC Handbook of Materials Science is a readily accessible guide to the physical properties of solid state and structural materials. Inter-disciplinary in approach and content, it covers a broad variety of types of materials, including materials of present commercial impor-tance plus new biomedical, composite, and laser materials. Metals. Glasses and Glass Ceramics. Alumina and Other Refractory Materials. Composites.